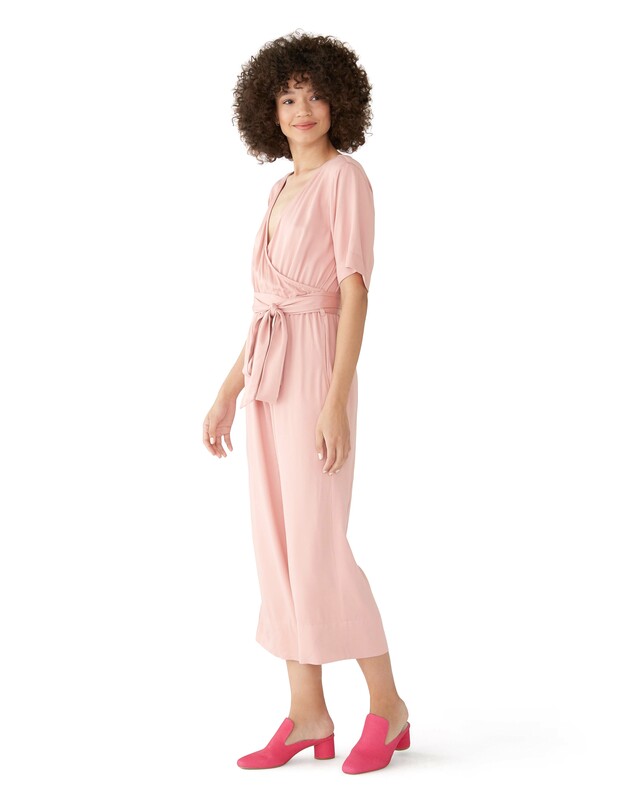 Fashion retailer Ban.do just launched the most genius collection of basics that is going to make getting dressed (not to mention shopping online) so much easier. 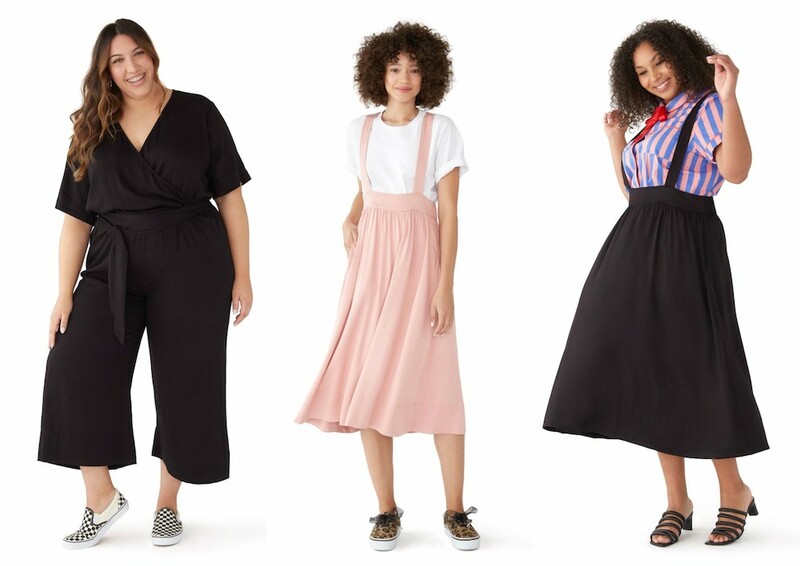 The line is made up of “flexible fit” basics—two jumpsuits, two pinafore dresses, and one wrap skirt. The items all have pockets (!) 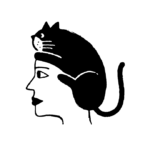 and can be adjusted to fit a range of sizes. 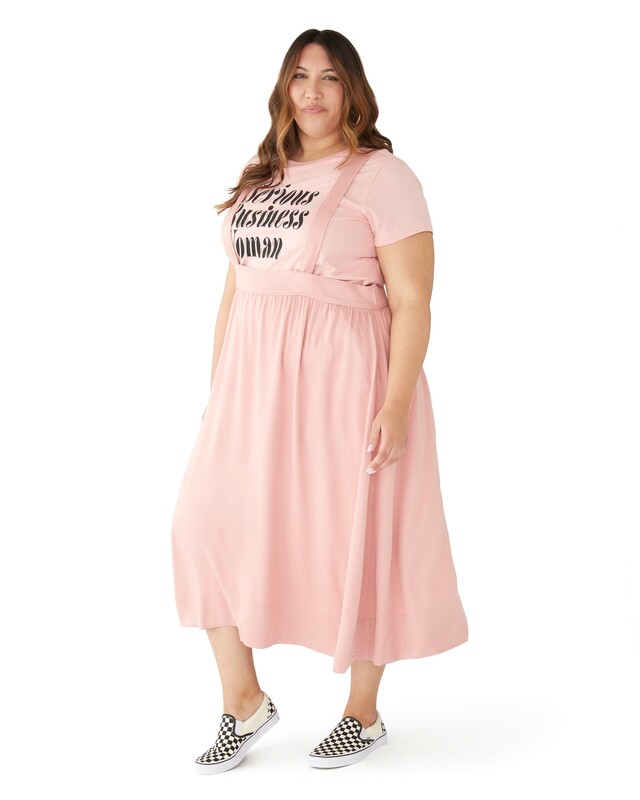 So while this is certainly not a “one size fits all” situation, the clothes have been designed with a range of sizes in mind. They can also each be styled in multiple ways, making this such a great idea for anyone who’s in a rush to get dressed in the morning. To launch the collection, Ban.do has shot campaign imagery starring a mix of activists (like Deja Foxx), influencers (like Jamie Hamilton), and the brand’s own employees. The capsule collection has been in the works for the last two years, andBan.do held fittings with women of all different sizes, from 00 to 24, to get their feedback on how things fit. To give us a better sense of what “flexible fit” means, Ban.do let us know that an XS would fit sizes 0 to 4, S/M would fit sizes 4 to 8, M/L is for 8 to 12, XL/XXL is for sizes 16 to 20, and sizes 20 to 24 should go for XXXL. With that in mind, you can shop the Ban.do capsule collection below. 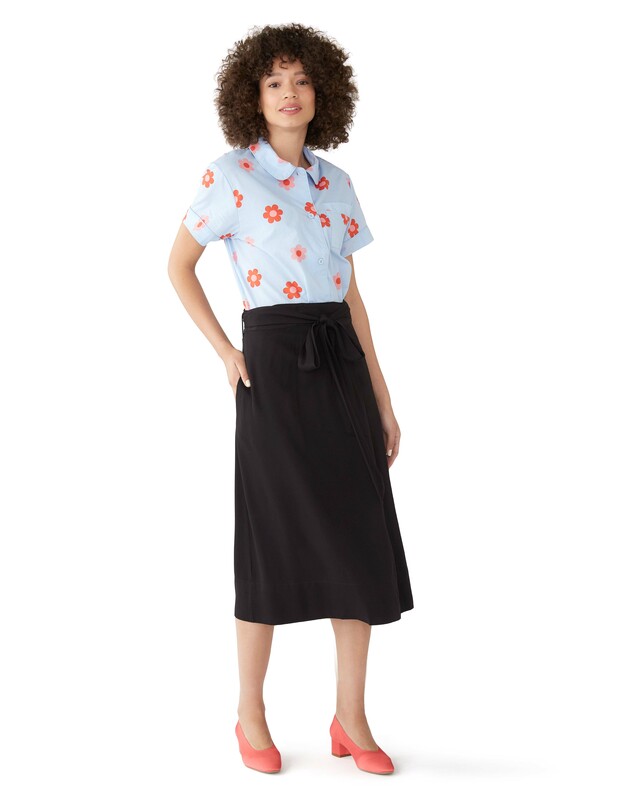 A totally versatile black skirt that can be worn anywhere. So cute and airy—perfect for hot summer days. 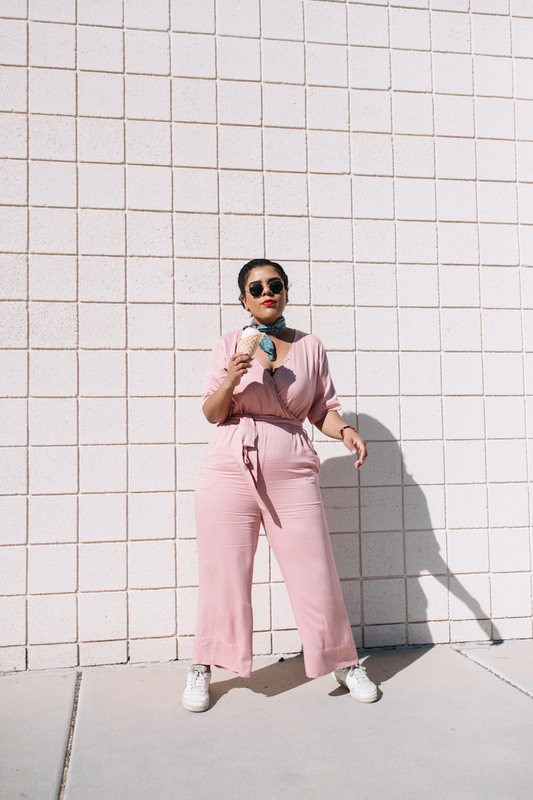 We’re obsessed with this millennial pink jumpsuit. 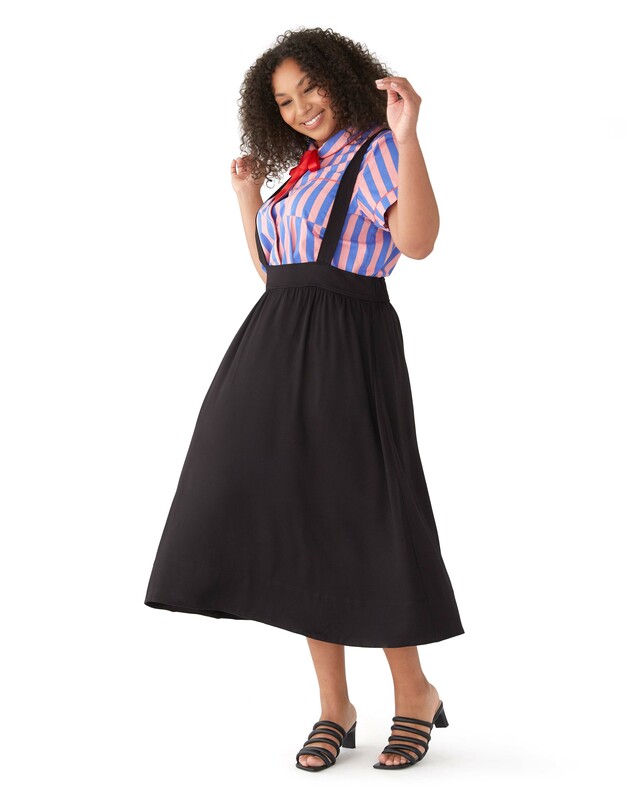 So cute, and can be dressed up or down.